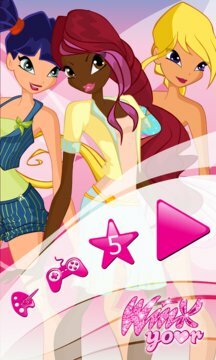 In the Windows store there are lots of dress-up applications, but this new offering from our team will appeal to all creative fans of WinX. Now you aren't just dress up the model, as well as create your own character. There are a huge number of dresses and make-ups for your new hero. Feel yourself creator of WinX. This game will develop sense of taste. 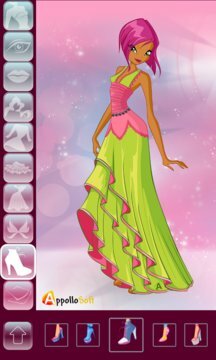 It also enables you to practice your fashion skills and get the little fairy ready to go out. This game will become inseparable part of your Windows phone.